The results released Friday revealed that over 62% of the candidates who sat for the exams scored five credits including English Language and Mathematics. 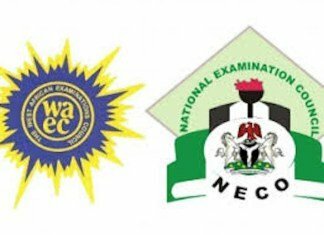 Acting Registrar of NECO, Abubakar Gana in a statement made the announcement that excited many candidates. According the report, while 44,497 candidates got either distinction or credit in English Language, 47,151 candidates got either distinction or credit in Mathematics. 47,031 candidates got five credits and above, irrespective of English Language and Mathematics according the examination body.